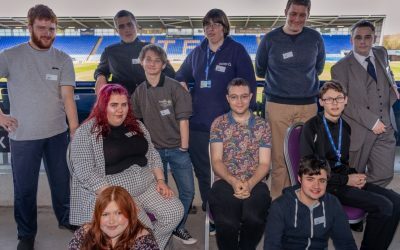 Will began his Supported Internship through Shrewsbury College in September 2018. 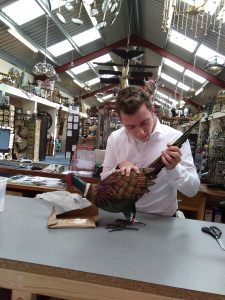 His placement is at the British Ironworks, where he has a number of daily tasks that include; working on reception, meet and greet, working in the shop, preparing the stock – putting it together and labelling it – cleaning the show rooms, washing the mirrors and general dusting. 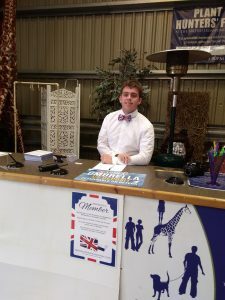 Through his time at The British Ironworks, Will has been able to develop skills in customer service and is learning how to communicate with different people in a professional manner. Will has support from Enable Job Coach, Hazel, who is there to help him with communication and training. With the help of his job coach he understands he must speak differently to customers and his employer to how he speaks with his friends. Will’s favourite day to work is Thursday because he gets to work on stock all day where he is given guidance from colleagues, Louise and Miriam who make sure he always has something to do. Both Louise and Miriam understand initially that he struggled with his fine motor skills when needing to label small, delicate items so he knows to look for larger items that he can complete independently. On Monday’s Will’s main task is cleaning the show room which he is not as keen on but is able to do with support from Hazel. Hazel commented on how well Will is progressing; his team working skills are great, he has a good work ethic and does any job he is given happily. Will have made a good impression with the staff and he is thanked at the end of each day for his hard work. At Will’s Review in February his Supervisor, Claire, said she is pleased with how Will is continuing to develop. The main points she mentioned are that he is more aware of being careful with his language when in front of customers, he is taking more care when handling products, some of which are delicate. His wrapping of purchases at the check-out is also improving. As Will is getting more confident, his Job Coach has reduced their hours and Will now has Steve as his Job Coach. It is good experience to work with different people. Will is now getting more confident in most of his tasks. These include preparing labels and attaching them to products, check stock and display items in the showroom, assisting with sorting deliveries, unpacking boxes, dusting and cleaning, updating leaflets in the tourist information area to make sure they are not out of date, meet and greet visitors at the entrance to Ironworks, assist in the café clearing and wiping tables. Will can have more customer contact in the future. This is a useful transferable skill and will help when looking for jobs in the future.